Automated storage and retrieval systems (AS/RS) can help an operation reduce labor, increase accuracy and throughput, and have a green impact on the environment. This mini-load staging buffer uses computer-controlled shuttles equipped with a load transfer device. The shuttles can deliver loads to a person who will pick items. When the pick is complete, the load is automatically returned to its storage location. Automated storage and retrieval systems, known as AS/RS, have been around since the 1960s. 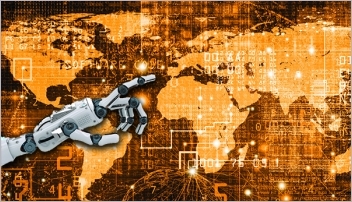 Put simply, they are computer-controlled systems that put away, store and retrieve product in warehouses, distribution centers and manufacturing facilities. Over the years, AS/RS have evolved into smarter, sophisticated materials handling solutions that can handle smaller loads and strategically deliver product to the right place at the right time without manual labor. Large systems, known as unit-load AS/RS, typically store and retrieve pallet loads. Smaller systems, mini-load AS/RS, handle product in totes, trays or cartons. Regardless of size, most AS/RS have the same basic configuration: Two rows of metal rack face each other with a narrow aisle in between. Down the center of the aisle is a raised metal rail. A tall mast travels through the aisle along the rail. When the mast reaches a designated storage location, a carriage travels up or down the mast to the level of the location. A load-handling mechanism mounted on the carriage then reaches into the storage location to put away or retrieve a load. The mast, carriage and load-handling device collectively are known as a storage and retrieval machine (for short an S/R machine or SRM) or a crane. Most AS/RS use one SRM per aisle, but sophisticated high-throughput systems might assign multiple machines to one aisle. Some low-throughput systems assign one machine to multiple aisles. In these systems, the SRM makes a turn at the end of its aisle or is moved from aisle to aisle by transfer cart. SRMs may have single or double masts. With a single-mast machine, the carriage is attached to the front of the mast. With a double-mast machine, the carriage rides between two masts, providing added stability in tall AS/RS or in systems that handle heavy loads. Unit-load AS/RS are designed to store large loads of 1,000 pounds or more, which are typically stored on pallets. Some specialized systems handle oversized loads like furniture and long rolls of carpet. While a unit-load AS/RS can reach 100 feet, a typical system is less than 40 feet high. A standard AS/RS stores loads on rails designed specifically for automated systems. This rack, like drive-in rack, stores loads on rails that run perpendicular to the aisles. (Standard pallet rack stores loads on cross beams that run parallel to the aisles.) AS/RS rack can be configured single-deep, double-deep or as deep-lane rack with several pallets and stored one behind the other. The load-handling mechanism for a unit-load AS/RS is usually a telescoping device, called a shuttle, that reaches into the storage location, slides under the pallet, then pulls it onto the carriage. Less common turret-style SRMs that use a rotating fork are slower but can interface with standard pallet rack instead of special AS/RS rack. • parts sequencing for an assembly line. Small-scale AS/RS that handle lighter loads, usually less than 1,000 pounds, in containers such as trays, totes or cartons are known by a number of different names. 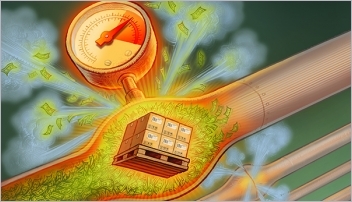 Some suppliers use the term “mini-load AS/RS” to describe systems that handles loads between 100 and 1,000 pounds and the term “macro-load AS/RS” to describe those systems that handle loads of less than 100 pounds. Others simply call all of them mini-load systems. “Case-handling machine,” and “tote stacker” are other terms used to describe light duty AS/RS. This article will refer to all less-than-unit-load systems as mini-load AS/RS. In addition to having many names, mini-load AS/RS also take numerous forms. Most are configured along the same principles as unit-load systems, but instead of using shuttles to pick up and retrieve loads, they use one of a variety of load-handling devices. Examples include extractors that grasp and pull handles on metal trays, vacuums that attach to corrugated cases, and robotic arms that grip plastic totes. A typical mini-load stands between 10 and 40 feet tall. Mini-load AS/RS have numerous applications, some of which fall outside of the manufacturing and distribution industries. For example, government agencies and universities use them to store documents and books. 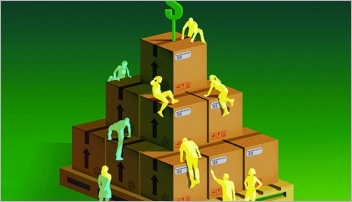 Most mini-load AS/RS, however, are used in factories and warehouses for small parts storage and order fulfillment. 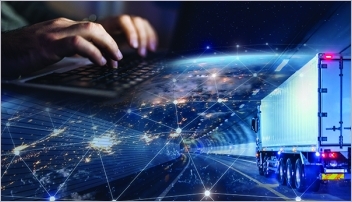 To determine your sweet spot, begin with AS/RS application discussions that address rate and storage capacity, says Charlie Zebell, vice president of supply chain solutions for . Then, define the loads to be handled and ask questions about selectivity, redundancy and building constraints. Once in place, AS/RS can provide a number of benefits such as controlled access to valuable inventory, increased accuracy and productivity, and reduced labor costs and risk to workers. For example, these systems are a good option in freezers and other harsh environments that can be hazardous to people. AS/RS can also lower operating expenses through enhanced cubilization, which means storing product higher. How high depends on a number of variables, but a smaller building footprint means reduced cost and demand for lighting, heating, cooling and freezing the storage environment, which also has a positive impact on our overall environment. While this Equipment Series 101 focuses on AS/RS basics of fixed-aisle systems, other storage technologies such as horizontal carousels, vertical carousels and vertical lift modules (VLMs) are sometimes called automated storage and retrieval systems. Horizontal carousels are a lot like the equipment used by a dry cleaner, but instead of clothes hanging from the top rail, wire carriers are suspended from the rail. These carriers typically hold plastic bins containing small-sized products. Often paired with pick-to-light and voice technology picking systems, horizontal carousels work well in a facility with limited height, but can be stacked if ceiling heights allow vertical expansion. Vertical carousels are similar to a Ferris wheel. This technology consists of shelves that rotate up and down inside a metal cabinet. The shelves can hold metal trays or plastic bins of small parts. When an operator requests a part from its computer system, the carousel rotates to deliver the correct shelf to an access window at the proper ergonomic level. Vertical carousels provide flexibility and work well in situations where the inventory changes, but the product profile remains the same. Vertical lift modules are a combination of vertical carousel and traditional AS/RS technology. While the outside looks like a vertical carousel, the inside stores trays located on both sides of a column. An extractor mechanism travels up and down the column, retrieves the trays and delivers them to the operator at an ergonomic work counter. VLMs are flexible, can change with operation’s changing requirements and optimize space tray density.